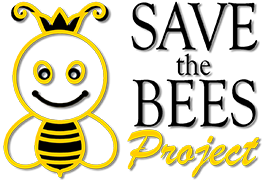 Welcome to the newly designed Save The Bees Project! Enter Your Email Below And Join Our Exclusive Community! What do you get for being a part of the Save The Bees Project Community Newsletter? Educational DIY content related to enviromentally friendly Bee byproducts such as Beeswax, Candles and Skincare products. Information on the charitable organizations we’ll be working with in 2019, and the impact your support and Save The Bees Project has on global bee populations through the charities we work with and support. We appreciate all the love and support we’ve experienced over the past 9 months from all of you. Thank you. We are more committed than ever, and hope you’ll join us on this new chapter in our overall journey. PS: Don't forget, when you subscribe to our list you get a custom 10% Discount code sent to you!